Watch what it means to be a Blue Streak and enroll today by calling 419.626.6940 or email us at SCSCares@scs-k12.net. Who are we in this world? We are Sandusky Blue Streaks, and we dream to erase the impossible. Be a Blue Streak. Call 419.626.6940 to enroll today. 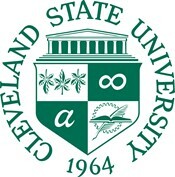 Sandusky City Schools (SCS) and Cleveland State University (CSU) are pleased to announce an important partnership that will help Erie County districts advance leadership pathways for teacher leaders. SCS and CSU is collaborating with the Center for Educational Leadership at CSU to bring two nationally accredited principal licensure programs to the greater Sandusky City area. All programs are open to staff from any school district. All classes will be convened in the SCS District on Saturdays. We encourage you to have any interested teachers join us at our information sessions at the SCS Board of Education building (407 Decatur Street, Sandusky, OH 44870) scheduled for May 2 and May 15, 4:00 - 5:00 pm! For more information, check out the flyers below! Check out the April 2019 Building Update! You can view all of our monthly updates on our Building Better Dreams Facilities Project page, Facebook, or Twitter! 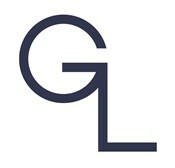 Click here to check out an animation by the Great Lakes Visual & Performing Arts Academy students! They recently attended a workshop with award winning animator, Gary Schwartz. Over 200 drawings went into the making of the animation! Great job students! Check out the April 2019 Building Better Dreams Facilities Update! You can view all of our updates on our YouTube Channel, Facebook, Twitter, or our Building Update page. Remi Hasel, Rylee Simmons, Aryian Walk, Jayden Wade, Lauren Harper, and Jakiya Johnson! Check out this video of Congresswoman Joyce Beatty crediting the work of SHS teacher Jamie Spero-Arnold and other educators around Ohio on the House Floor! Thank you to our SCS teachers for your hard work and dedication that you show our students every day! 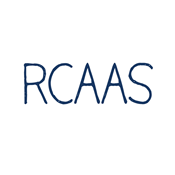 RCAAS Fine Arts Gala Moved to Thursday, May 9th, 2019. The Regional Center for Advanced Academic Studies' Fine Arts Gala has been moved from Friday, March 15th, 2019. to Thursday, May 9th, 2019. 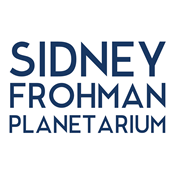 Join us for "From the Earth to the Universe" at the Sidney Frohman Planetarium, Sundays at 2:00 pm and 3:30 pm, starting March 10, 2019! Produced by the European Southern Observatory, this stunning voyage through space and time conveys, through sparkling sights and sounds, the Universe revealed to us by science. A desire to comprehend the Cosmos may well be humanity’s oldest shared intellectual experience. Spectacular views are provided by the planetarium’s new Digitalis Lambda full-dome projector. The program is appropriate for children 6 and above. Due to limited seating folks will be seated on a first-come basis. Shows are free to the public. The planetarium is located at the rear of Sandusky High School. For more information call 419-984-1136 or Mrs. Wolf at email LWolf@scs-k12.net. All registration packets MUST be returned to Collette Fox at the Board of Education Office, 407 Decatur Street during the designated dates and times listed below. If a form is missing or incomplete, your packet will not be accepted. COMPLETED packets will be time stamped and a receipt will be issued. 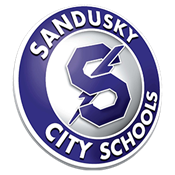 Parents will be notified of their student’s acceptance in the Sandusky City School Preschool Program via placement letter before June 1, 2019. Due to the limited nature of our preschool program, requests for teacher, classroom and/or building cannot be accepted. Placement into the preschool program is NOT guaranteed. For questions please contact the Student Services Department at 419.984.1048. The elementary breakfast and lunch menus for January - June 2019 are now available . For questions, contact our Dining Services Supervisor, Mr. Brad Kraft, at 419.984.1025.